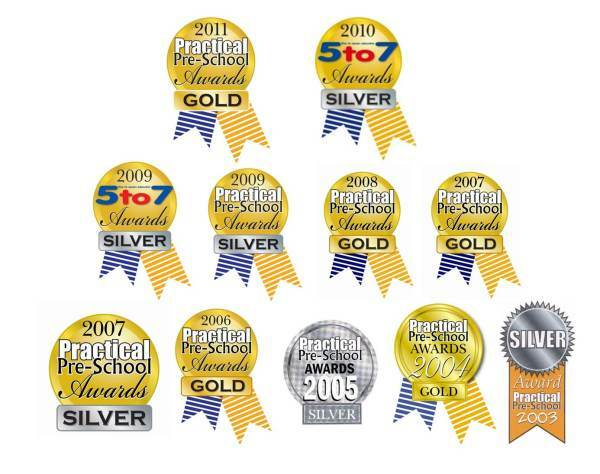 The Practical Pre-School Awards exist to identify and reward excellence in the fields of educational equipment, childcare and books and toys, suitable for early years and key stage 1 children, for use in professional childcare and educational settings. These settings include private and state nurseries, pre-schools, playgroups, childminders, after-school clubs, reception classes and infant schools. According to psychologist Dr Amanda Gummer, of FUNdamentals: ‘A child's early years are a rapid period of change; the child is developing quickly and needs access to different things at different times. 'Children themselves, therefore, are crucial to the stringent testing process. As well as a scrupulous panel of practitioners, their input was key in testing every one of the products. And the testing has been tough, as it should be. Each product entered was tested in at least two separate settings by children and their carers. Each setting has marked and provided a detailed evaluation of the performance of the product, against set criteria. This included key elements, such as appeal to children at both the start and end of the trial, durability, adaptability, educational value, play value, value for money, and many others. An impressive score of 90 per cent or more was needed for products to attain the much-coveted Gold Award, 80 to 89 per cent was required for silver, and 70 to 79 per cent for bronze. Kids Music Company has postponed submitting their products to the UK Practical Preschool Awards since 2012 due to ongoing development of new educational resources.